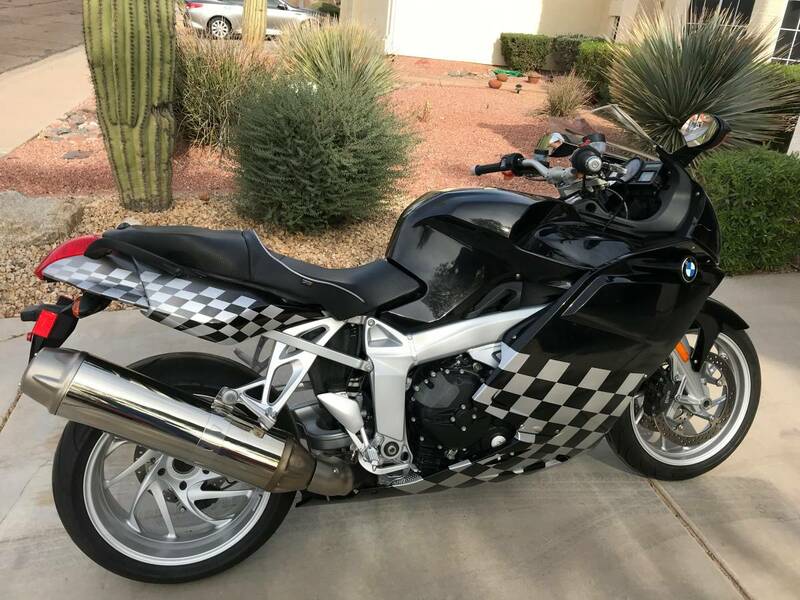 This Sunday I'm going to look at a 2005 K1200S with 18K miles. Is there anything I should ask the current owner? Recalls? Known problems? Etc.? Picture below . . . Always like it when someone spends their money on adding things to a bike, and then selling the bike. I really like those handlebars. Chances are the 05 is going to have the servo brakes on it. Someone correct me if I'm wrong. It'll also have these beloved fuel strip. Ask the owner if the strip has ever been replaced. Ask if there's any kind of extended warranty on the bike so probably expired right now.